At Dynamic Hosting, we are committed to environmental sustainability in everything we do. From travel mugs for our coffee, to business cards printed on recycled stock, we are serious about being a “green hosting company”. With all hosting packages you receive space on our fully redundant, high-speed network. Our Linux-based servers come with your own administrative control panel for setting up ftp and e-mail accounts. Sign up today and learn why people have trusted Dynamic Hosting since 2002! Headquartered in Canada, Dynamic Hosting is a web hosting service provider offering shared hosting, VPS hosting, dedicated servers, domain name registration and more. 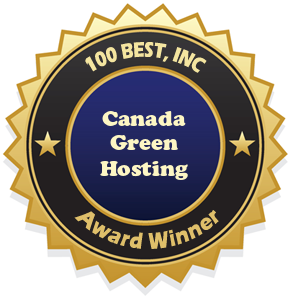 In business since 2002, Dynamic Hosting has figured out exactly what it takes to provide the best web hosting service to each of their customers and has quickly become one of the top web hosting providers in all of Canada. Along with a reliable platform, all the best web hosting tools and features, and the best customer support Dynamic Hosting also places a big emphasis on green web hosting. With data centers popping up all over the globe, using constant energy to operate and cool machines, this has really become a major issue. The web hosting features we have listed here are for the "Unlimited" plan from Dynamic Hosting, this plan is robust enough to support virtually any type of website. Whether you are building a large business site or already have an established site that you want to move over, this plan has all the tools and features you will need. The Unlimited plan has many unlimited features like disk space, bandwidth, mailboxes, domains, and more! Dynamic Hosting also have a "Limited" plan that is really cheap web hosting for a webmaster that is just getting started. Whether you are looking to build a new site, transfer an existing site, or find the best prices and support for a Canadian VPS hosting (virtual private server) or dedicated server plan visit Dynamic Hosting to see which plan will work best for your web hosting needs. Read some Dynamic Hosting reviews to learn more about the experience their current web hosting customers have had with the service or leave your own Dyanmic Hosting review below.